This album is so harmonic. Her voice brings me to peace every time i hear her. The music on this recording is beautiful. Afghanistan has such a rich history and culture, it's unfortunate that most people only hear about the conflicts and problems. 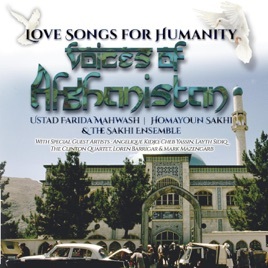 A recording like this can hopefully open up more people to the depth and importance of Afghan culture. These songs are so harmonic.